Garmin nuvi 205 was a christmas present this year. It has proved to be the best thing ever. This GPS unit, is so cool. Today was the first time that I used it since I drove back from Dad house. Today, we Michael, Kevin and I had the day off. Its the first time in months that this has happened. We took off to go to Wilton Manors for coffee. The day was chilly and windy day. But the sun was shining bright. I took along my GPS so that I could monitor how fast Kevin was driving, since I rode in the back seat. There was a couple of times that I said, the speed limit is 35 and your going 42. It was fun to do. We sat outside, and watched the guys in the coffee shop, drinking their coffees and watching the pre-game on T.V. As we sat there we thought this would be a good day to go and see a Movie. Once back in the car I got out my GPS. I clicked on the menu button and did a look up. I looked up Movie theaters near our home. I found one, and pressed go button. It said in a ladies voice, calculating... after a few seconds, it started talking, go 200 feet and turn left, go 1.2 miles and turn right. On the way to our destination Michael said have you named her yet? I laughed and said no. I sat there for some time thinking of a name for her. We came up with the name of Brenda Lee. Brenda Lee took us to the door of the Movie Theater. We looked at all the movies that they had to offer. We were not impressed with any of them, so we thought of just renting a movie. I asked (typed it in) Brenda Lee to give us movie rentals. Block buster was the closest and she directed us to their door. After we were done picking out our movies, we piled back into the car, Kevin and Michael was talking about finding a KFC. I said hold on let me ask Brenda Lee. She wanted to lead us to the closest one to our destination, but Kevin knew of one closer to the house and was driving towards it. Brenda Lee did not like that. She kept saying "go 100 feet and make a U turn." She said this about 4 times before she said calculating... She finally figured out where we was going. 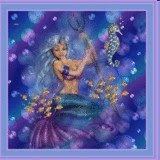 As I sat in the back seat, I started playing with Brenda Lee, I found several interesting things that she has to offer. Food, Fuel, Transit, Lodging, Shopping, Bank/ATM, Parking, Entertainment, Recreation, Attractions, Hospitals, Community, & Auto Services. Under each tab will show you what is closest to you. With full directions and maps. I found under the tools tab, is an ecoRoute, which calculates your mileage and gas mileage. I think this summer me and Brenda Lee are going to go to places. Cool stuff! I've never used one before. 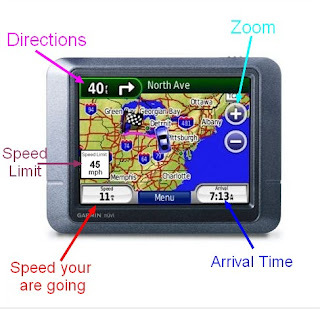 I got a GPS for Christmas 2008 and I LOVE it!! I use it way more than I ever thought. I love the name you came up with, except now I have a bunch of Brenda Lee tunes going through my head. Ha-ha! Your new gf! The gadget would come in so handy in a big city. They are so helpful too for shuttle and taxi drivers. One of these days I'll have to get one. Brenda Lee! Cool name! I know how pissed off she sounds (like a real woman! LOL!) when you don't listen to her and she insists on you making a u-turn. We've had that happen to us a couple of times! GPS is a wonderful thing. But remember the good old days when we used paper maps, or better yet, stopped an asked for directions? Oh yeah, that's right, MEN don't like asking for directions! LOL! Love the informational update - - sorry I can't write more tonight but I am going to sleep early - - trying to get rid of a sore throat so I can maybe avoid a doctor's visit. I love my GPS. Sure has saved me getting lost a time or two. My gal is Jill. I could have had John as a navigator, but Jill and I have bonded nicely.